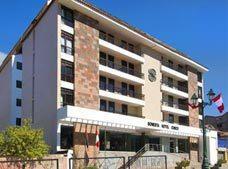 The city of Cusco has an impressive and rich culture, joined together with uniquely beautiful surroundings that seem to come straight out of your wildest imagination. In addition to countless traces of indigenous architecture, the city presents a wide variety of colonial buildings, churches filled with religious artwork and an incredible amount of outdoor activities to get you back in touch with nature. This city isn't called the "Rome of the Americas" for nothing. Machu Picchu is the most visited attraction in the entire country of Peru. 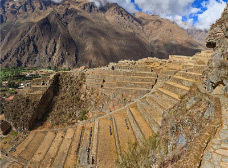 This magical sacred city, build on top of a mountain about 50 miles from Cusco, is the largest and most beautiful trace left behind by the ancient Inca civilization. 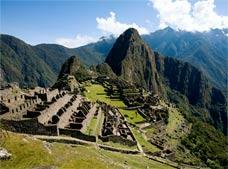 Declared a World Heritage Site by the UNESCO, Machu Picchu is also one of the New Seven Wonders of the World. When you visit Machu Picchu, don't forget to bring along good sunblock and comfortable walking shoes, since touring the ruins typically requires a good amount of outdoor physical activity. Once there, the more adventurous visitors can try to climb the rugged Wayna Picchu Mountain, where you'll experience incredible panoramic views of the ruins. The city's downtown area brings together many of the main buildings and ruins from colonial and pre-Colombian times, the main reason why the city has been declared a World Heritage Site. 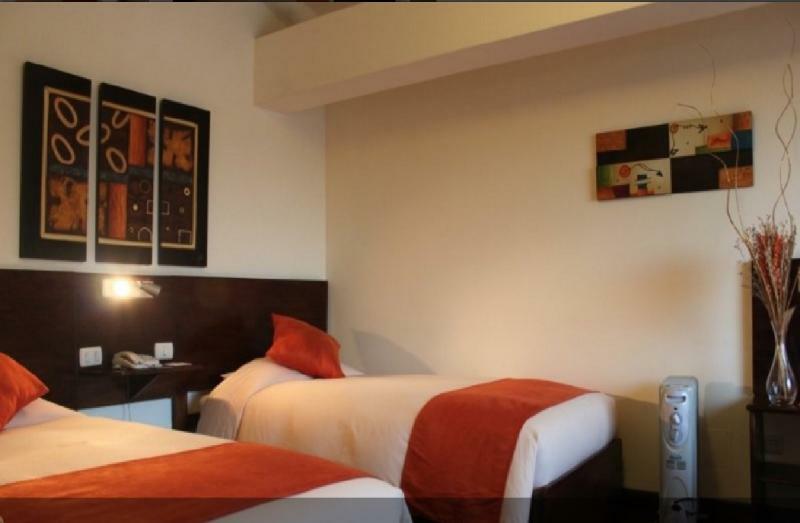 In the heart of Cusco, right next to the "Plaza de Armas" (Weapons Square), you'll find two impressive colonial churches of incalculable beauty and value: "La Catedral" and "El Templo de la Compania de Jesus". The first, with baroque and plateresque details, offers extraordinary artisanal quality in its paintings and decor. The second, considered one of the most sophisticated examples of baroque architecture in the Americas, preserves important colonial ties. 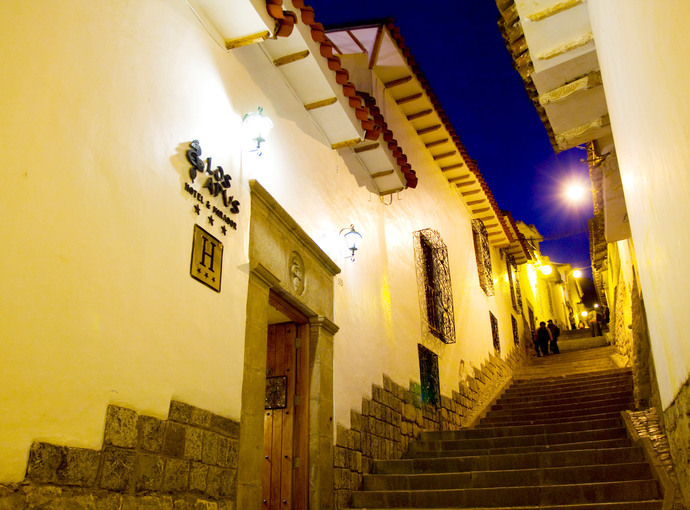 As you explore downtown Cusco, don't forget to visit Hatun Rumiyuq Street, one of the most famous in the city, which begins at Plaza de Armas and ends in the picturesque artisanal neighborhood of San Blas. You can also stop by the "Convento e Iglesia de la Merced" and the "Convento de Santo Domingo" (also called "Qoricancha"), two convents showcasing impressive religious artwork. 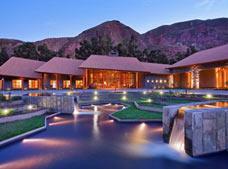 The Sacred Valley of the Incas is a region in the city's surroundings and one of the area's main attractions. 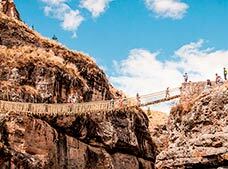 Originally, this fertile valley formed part of the Incan Empire and housed important cities. 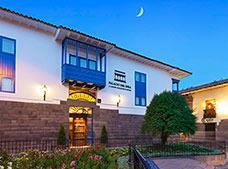 Today, it holds diverse populations along with influential archaeological sites and ruins. 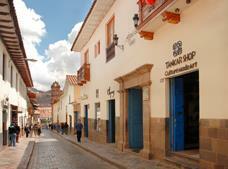 Some of the towns you can visit in this valley include Chinchero, Pisac and Maras. 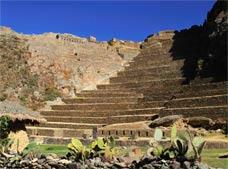 In terms of the ruins sites, the most well-known are Ollantaytambo and Choquequirao. 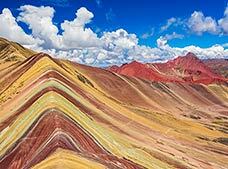 The second site receives few visitors and is difficult to reach, but it offers amazing views and beautiful sights. It's recommended that only expert hikers visit these ruins, located on mountain peaks. This is one of the most important archaeological sites in the area. 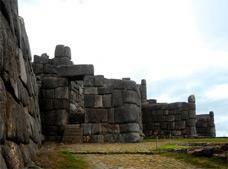 Due to its convenient location just outside Cusco, Sacsayhuaman offers visitors amazing panoramic views of the city. These ruins contain enormous tiered terraces and gigantic stone walls, suggesting that the site was once an indigenous fortress. 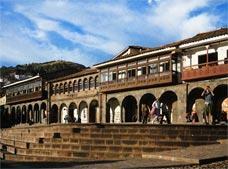 About 15 miles outside of Cusco, you can visit an Inca cemetery along with one of the region's largest water systems. This site, which is believed to have once belonged directly to emperors, holds a carefully designed canal system and agricultural area. 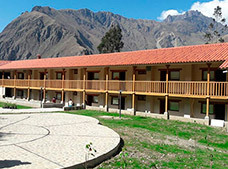 If you enjoy hiking, outdoor walks and camping, the Inca Trail is an unforgettable experience that you can try out during your vacation in Cusco. 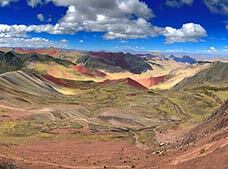 This road starts in Cusco and leads all the way to Machu Picchu, passing through amazing landscapes and some of the region's incredible towns. Normally, the complete trip on foot takes three to four days, but it's not necessary to walk the entire way since transportation is available. If you don't consider yourself an avid hiker, you can opt to take a shorter route followed by a bus ride to the next stop, allowing you to enjoy the beauty of the surrounding areas without over-exerting yourself. 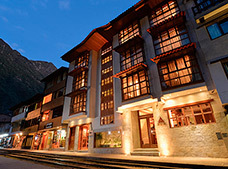 With so much surrounding natural beauty and an altitude of nearly 11,000 feet above sea level, Cusco offers an unbeatable and challenging opportunity for adventurous visitors who love the great outdoors, ecotourism and adventure sports. 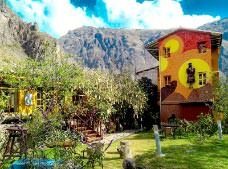 Even though at this altitude just walking along the charming cobblestone streets of downtown Cusco can be enough to get the heart pumping, the more adventurous can try rafting on the nearby rivers, hiking the trail to Machu Picchu, camping, rappelling, rock climbing and even skydiving. Whatever your favorite outdoor sport is, Cusco offers the ideal setting and great services for experiencing it on your next vacation to the beautiful country of Peru. 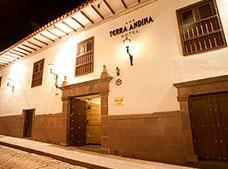 The museums in Cusco bring together the fascinating history of the city, its gorgeous surroundings and its different historic eras. 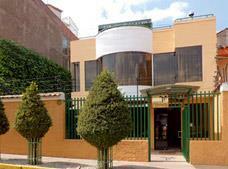 Some of these museums specialize in pre-Colombian history, while others feature exhibits on religious artwork. 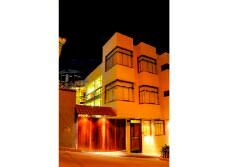 Some, like the Museo de Arte Contemporaneo, display a variety of modern artwork. 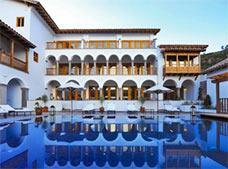 In all of these venues, you'll find an oasis of peace and knowledge in the midst of an adventurous vacation in Cusco. 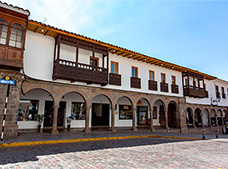 Some of the more important museums include the Museo Historico Regional, featuring numerous regional pieces from the seventeenth and eighteenth centuries, and the Museo del Sitio de Qoricancha, with three intact Incan mummies along with traditional ceramics and textiles.